Live news updates Day 7 Cuadrilla Roseacre Wood fracking inquiry – more public statements – DRILL OR DROP? The village of Roseacre near the Roseacre Wood site. Live updates from the third session of the Roseacre Wood inquiry hearing public statements. More than 80 people are expected to give evidence to the inquiry. DrillOrDrop report from yesterday’s public session. The inquiry is considering the highway safety concerns around Cuadrilla’s plans for two additional traffic routes, 39 passing places and traffic signals. Mr Rimmer represents people in Singleton. We are concerned about the use of the Thistleton junction on the A585. At peak times, the waiting time to get onto the A585 an be 20 minutes, he says. There are also queues on the A585 to get onto the B-road. He says there is 7-inch clearance between vehicles in the lanes on the A-road. He expects drivers to come through Singleton to avoid roadworks on the A585. Cuadrilla’s proposals for the Green and Red Routes rely on the use of the junction, he says. The junction is not fit for purpose proposed, he adds. Mr Rimmer suggests the Cuadrilla 44-tonne vehicle could cause damage to the junction. The vehicles have less than the recommended safety margin to the carriageway edge in swept path analysis, he says. Mr Rimmer says the Dagger Road/Treales Road/Station Road junction is also a high-risk junction. He says there is a risk of a roll-over here and rear wheel lift. He also criticises the highway safety issues at the junctions of the routes into the Inskip defence site. Cuadrilla’s vehicles will be higher than the height limit on the Inskip site. He says there are concerns about the effect of high voltage cables on vehicles. The route is not safe for vehicles above 3.5m high, he says. The largest HGVs will not be allowed to go through the Inskip site. Because of this, the company has failed to show that the Green and Red Routes are safe and operational and that there are three available routes. Ms Cookson has a stable yard and exercises her horse on Dagger Road. She names some other horse owners locally. Dagger Road is a vital part of the hacking network, she says, because there are no bridleways. She says riders do not go out just at weekends. There are significant number of shift workers or people who have no option but to ride during the week. HGVs are very intimidating to horses, she says. We have significant number of elderly horses and those that need rehabilitation, she says. She is concerned that the roads will become a haven for cars. People with younger horses are concerned about the proposals, she says. She is also concerned that horses may get stuck between the traffic signals on Dagger Road. Just because a serious accident has not happened doesn’t mean to say it will not happen. Riding opportunities are already limited. The inspector, Melvyn Middleton, asks for a footpath map. Mr Smith, a fire protection consultant and commissioning engineer, lives with his family in Wharles. He says a lot of his work involves the assessment of ignition control and safe evacuation of all non-emergency personnel for sites which pose significant or special risk to the local area. He says the narrow routes around Roseacre Wood “could not possibly geometrically work to produce the combined evacuation of personnel, response of the emergency services and the protection of residents to a reasonable levels. Mr Sanderson is a dairy farmer from Kirkham working on land including that Inksip and Wharles. He says agricultural machine has increased in size, weighing up to 20 tonnes. He says several farms on Roseacre Road use the local roads. The only thing that has changed on the roads is the different surface and wider gateways. HGVs cause traffic congestion, particularly on rural roads and through farm land. The proposal to bring HGVs to the roads will only exacerbate the problems that already exist. It will also be an animal welfare issue, he says, because livestock needs to move or be checked daily. The proposal will change the look of the countryside and take away productive farmland. He urges the inspector not to overlook the importance of people who work in agriculture. Mr Caunt says he oppose the plans, which he says are worse than those rejected by the 2016 inquiry and by Cuadrilla itself. They do not respect the right to safe use of the roads by the public, especially walkers, he says. Mr Caunt says he is a keen walker. The targeted passing places are a refuge for walkers, cyclists and horse riders, as well as the HGVs. “What could possibly go wrong”, he asks. He says the verges are in a poor state. They will be made worse by Cuadrilla HGVs which will use the verges. Mr Caunt says Cuadrilla has made the inappropriate assumption that it will dispose of surface water onsite. He says the inquiry should not consider Cuadrilla’s offer to manage the work on cutting hedges because people did not have a chance to comment. He adds that air quality will be made worse by the proposals. He urges the inspector to reject the appeal. Mr Hunter says he commutes to work on most days for 20 years in Preston along Roseacre Road, down Salwick Road and Dagger Road, all on the traffic routes. He also cycles on the roads at weekends. The routes chosen by Cuadrilla are fraught with danger. He describes accidents including a farm vehicle cutting across him and he ended up in the ditch. He has had only one other accident in 20 years. He says a local farmer cuts its hedge once a year. They become overgrown and cut down visibility. Mr Hunter says he avoids the roads for a couple of months a year because of flooding and frost. He says there are also people hazards, including horses and dog walkers on Roseacre Road. There are also cycling groups. He says there is also farm traffic to cope with. The roads can be full of combine harvesters. Currently there are muck-spreading tractors, he says. He is often stopped by farm animals. There can be mud across the whole road. Speeds can be high, he adds. The public inquiry need to consider there are plans for vast numbers of additional houses in Wyre and Fylde, Mr Hunter says. This can only result in these roads much busier as people commute to work. These roads are inherently unsafe for the HGVs proposed. They are heavily used for leisure. The hedges are high. Weather conditions can make them impassable. I would ask you to reject this proposal. Dr Coppersthwaite has lived in Kirkham for more than 20 years. He refers to the increase in HGVs at Preston New Road, including tankers needed to take water off Preston New Road. The Roseacre Wood site has no permit for treating rain water. This should be ignored and rain water tankers should be taken into account in the numbers. There has been a step change in the number of HGVs forecast for Roseacre Wood and this application should be rejected, he says. Mr Maguire says he lives in Stanley Mews, 200m north of the site entrance on a bend in the road. 16 people live in six homes in the Stanley Mews community. The junction of Roseacre Road and Stanley Mews is proposed as a passing place. Stanley Mews is a right of way and the metre points for the homes. His children used Stanley Mews to learn to ride their bikes. This is unsuitable as a passing place, he says. Mr Maguire says he took the day off today to check whether Cuadrilla was right to say that cyclists mostly used the roads at weekends. At 11am-12 noon more than 20 cyclists passed Stanley Mews today. He says the roads are rural. There are animals on the roads. Recently, he has swerved to avoid a deer and a sheep. This is normal, he says. The roads are not suitable for large vehicles. We don’t want to add to the risk from extra HGVs. The routes would be easy to disturb for protesters. He believes it could become impossible for residents to reach work. He asks the inspector to consider these problems. Mrs Worthington says she lives in Treales and her daughter and grandchildren live in Roseacre. She looks after her grandchildren and frequently travels between the villages and other points on the proposed traffic routes. People regularly travel at more than 30mph and she hears about accidents locally. She says there is mud on the roads and water regularly flows off the fields onto the roads, to add to hazards. Local lanes have been cut off by flooding and cars have been stuck. She suggests that Cuadrilla’s HGV traffic counts may look high because of a vintage vehicle show. She says she is fearful of large Cuadrilla vehicles on local roads. We have to use the grass verges, she says. Without them there is nowhere for people to go. The verges are currently churned up by farm vehicles. It shows the roads are not wide enough. Cuadrilla has not taken people, children, wheelchairs into account when they say HGVs will use the verges. This fills me with horror, she says. Cuadrilla is basically say we have to suffer more accidents to prove the risk. We would prefer prevention. She asks the inspector to recommend refusal. Ms Livesey says her home is near the proposed fracking site. It is now to have a passing place outside. She says the roads are unsuitable and the proposals add nothing to highway safety. There really are blind bends, narrow roads, lack of verges. I truly believe no amount of training will reduce the risk, she says. She says the idea of having so many passing places between Roseacre and Elswick is ludicrous. She says she deals with risk assessment every day and she would not entertain a traffic management plan like this. She says if passed they would be a huge experiment. Coming to the inquiry is hugely stressful. Please don’t give Cuadrilla’s flawed submission credence, she says. Please don’t allow the inevitable fatality, which might be my children or me. We believe better for this society. The reason for planning laws is to protect. Mr Smith lives in Wharles, Roseacre and Treales parish. He says the local plan includes provision of places for heavy industry, including safe HGV access. These roads have been developed because local rural roads are not suitable. Shale gas exploration relies on horizontal drilling to access the geology. Horizontal drilling has allowed operators to choose areas away from sensitive areas. Cuadrilla could choose from more than 300 sq km. Mr Smith raises a letter published by the Telegraph signed by three heads of three cabinet departments with a commitment to implement shale gas development. The letter says the government has to focus on the usability of the regulatory system. Immediate efforts must go into early exploration wells, the letter said. Mr Smith says this is not a letter of independent regulators and pollution control regimes but supporters of shale gas who will use any means to develop the industry. Suitable corrective must be put in place. The appeal must be dismissed because highway safety has been compromised. Nathalie Lieven, for Cuadrilla, says the statement is highly irrelevant. The inspector, Melvyn Middleton, says it is not for him to tell the Secretary of State how to do his job. Mr Smith says he could not live with himself if someone died because of the development. There should be independent regulators for pollution control. Ms Lieven urges the inspector not to get involved in the debate. This is highly inappropriate, she says. Mr Speight lives in Inskip. He says he and his wife are keen cyclists. He cycles several times a week throughout the year. With his wife, he regularly cycles on the roads that are part of the proposed traffic routes. He says the routes are flat, quiet, in a reasonable state of repair and close to home. The see serious cyclists, middle aged men in lycra cycling for fitness, the older generation and families. People use the roads to get to hillier areas. You also see lots of cycling groups, he says. A significant increase in HGV traffic, particularly on Dagger Road, would be a disaster, he says. The Inspector, Melvyn Middleton, repeats that his remit is to consider only traffic safety. The Preston New Road site has nothing to do with me, he adds. He asks speakers to concentrate on highway safety. Mr Iredale says he lives in Elswick. He says the location of the proposed is ludicrous. He says he travels all the routes, several times a week, and is aware of the hazards. On the proposed Red and Green Routes, he says the junction at Thistleton requires HGVs to cross the carriageway. He has had to mount the pavement in Elswick to avoid HGVs on a bend in the high street. There are also hazards through Inskip, he says. On the Green Route, there is parking in the villages. He says he has had to make three emergency stops near a playground on the route. A bowling green on Roseacre Road also attracts visitors. On the Blue Route, through Clifton there is a 20mph limit because of the children’s play area. There are another two bends that require HGVs to cross the carriageways. Dagger Road is in poor repair and very narrow. He has had to cross onto the verge to avoid approaching vehicles. A proposed passing place has been located outside the Beeches. This belongs to me and will not be made available to Cuadrilla, he says. Pollyanna Steiner, of Friends of the Earth, says the proposals will increase the impact of communities. The rural roads are vital to residents and contribute to the rural economy, she says. HGVs on the routes would impact the health of local people. On flowback fluid, Ms Steiner says there is doubt about the volume of flowback could exceed the volumes of fluid injected. This uncertainty leads to uncertainty on the number of heavy goods vehicles to remove it. The revised plans do not meet the requirements of the NPPF for safe and suitable access. It also fails to comply with local planning policy. 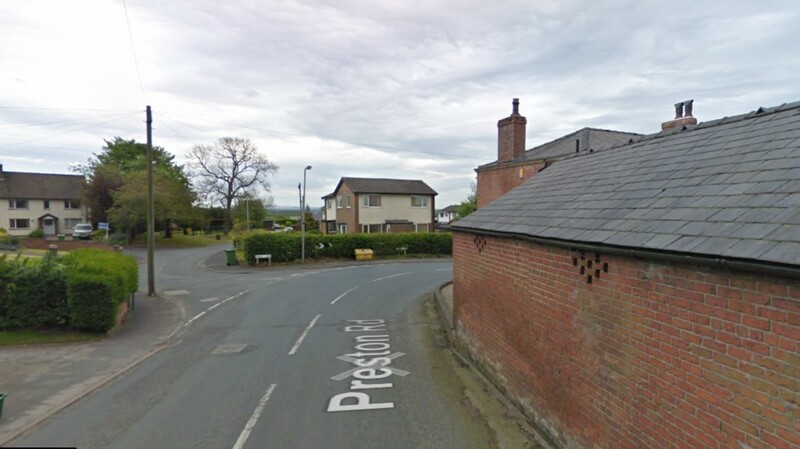 The traffic management policy for Preston New Road has been amended and breached. Cuadrilla are unable to keep to the TMP as agreed. It indicates it could lead to changes to any TMP for Roseacre Wood. This appeal should be refused, Ms Steiner says. Nathalie Lieven, for Cuadrilla, says Mark Lappin has addressed the issue. Ms Steiner says there is still no uncertainty about volumes. Mrs Stringman says she opposes all three routes. She lives in Little Plumpton but expects to use all the proposed three routes on one day or one journey. She says she is frightened about how the proposals will affect her way of life. There is great emphasis on passing places, she says. But the insertion of hard-standing up to hedges is unworkable. Hedges cannot be cut in the bird breeding season. There appears to a mantra of driving training as a panacea for any problem, she says. Who will train the other road users, she asks? Will people have to second-guess which route is being used. Mrs Stringman predicts further traffic from work on the track through the Inskip defence site. This could overlap with work on the access track to Roseacre Wood. Mrs Nash, a mother of three young children from Inskip, says she cannot understand why anyone would seriously plan to add heavy goods vehicles along the local roads. She says the family regularly cycling and walking round the village. It is not true to say that most cyclists are experienced riders. If HGVs were increased, she would not allow her children to cycle on a bend in Inskip. The current large vehicles are usually local. Non-local HGV drivers are not as careful. Cuadrilla’s proposed use of a mirror is ridiculous, she says. Cuadrilla’s estimate of vulnerable road users is unrepresentative, she adds. Mrs Nash says her pre-school child takes some time to get home in the morning after dropping off siblings. By then Cuadrilla’s lorries would be driving through the village. The numbers of families living on the route is increasing, she says. That is more risk, she says. The current proposal should be refused. Nathalie Lieven, for Cuadrilla, says the Red Route in Inskip will not be used after 3pm. Mrs Oades is a county, borough and town councillors in Fylde. She has lived in the region for most of her life, she says. Mrs Oades says the new routes will pose more inconvenience to a greater number of people. The routes appear to be theoretical exercises. They are fine on paper but not in reality, she says. Many of the roads are extremely narrow with surfaces that are not suitable for heavy goods vehicles. There are 22 90-degree bends on the routes. 5,000 people live within 4km and 7,000 live within 7km of the site, Mrs Oades says. The roads are not wide enough to give cyclists sufficient room when overtaking. 527 horses are stabled in the immediate vicinity. There are also new planning permissions in place for stables in Wharles. Mrs Oades asks whether surface water from Roseacre Wood could be treated at Preston New Road. She asks for clarity on the Inskip defence site. I represent the communities around the PNR site. If this proposal is approved they will be affected by both sites. The traffic management plan has been breached too many times. It is unacceptable to require the police to make decisions on breaches, she says. Mrs Oades says public safety must be paramount and she doesn’t believe this will be the case if the Roseacre Wood site is approved. Nathalie Lieven, for Cuadrilla, says surface water could be treated on site and discharged. Liquid injected into the well that comes back as flowback fluid is ultimately treated off site. There is no issue about that changing, Ms Lieven says. She adds that surface water would not be taken to Preston New Road for treatment. Mrs Smith tells the inquiry she moved to the area 17 years ago to walk the local lanes. She says she uses all the proposed lorry routes. It is rare to not encounter a hazard. “This is the countryside and it is unpredictable”. She she often meets cyclists, escaped sheep, a deer, a walker with a dog, an agricultural vehicle, an HGV that swings across her path to go into an entrance. She has seen flooding and cars stuck in mud or floods, she says. The accidents happen because of road conditions. Local businesses are relevant to highway safety. The bring people onto local lanes. A cafe on Roseacre Road attracts a large number of people by car, cycle or on foot. See how you feel exiting the car park onto the Green Route because the sightlines are very short. This was not mentioned by Cuadrilla. There are also businesses that exit onto the Red Route. A pub and station on the Blue Route with difficult exits were also not mentioned by the company. Cars park on the canal near the Hand and Dagger pub. They all bring vulnerable people on to the road network in dangerous places. Mrs Smith says Cuadrilla does not understand the road network, she says. She asks whether the company’s survey of vulnerable users is representative. The nature of this area is entirely suitable for use by heavy industrial traffic and the three routes will not provide safe or suitable access for all road users, she says. Mrs Conlon says she has lived in Roseacre for 17 years. She is a member of the parish council and Roseacre Awareness Group. She has ridden horses around local roads. She says the lack of paths and verges makes the roads hazardous. A young person was killed when a wing mirror hit him on the back of the head. Vehicles park at the side of the road, she says. One of the passing places is near Derby Lodge Farm in Roseacre. The entrance is used by the farm machinery and could be unusable for large periods of time. Flooding on local roads is a problem, causing drivers and cyclists to veer into the middle of the carriageway. Larger vehicles usually keep going when they meet smaller cars, she says. The state of roads in the area are very bad because of large vehicles on the network. Farm traffic have damaged routes and verges, Mrs Conlon says. Pot holes fill with water, making them particularly dangerous, she says. Vehicles and cyclists to veer to avoid them. The majority of people on local authorities have concluded that Roseacre is not a suitable point for this industry, she says. The inspector, Melvyn Middleton, asks Cuadrilla about access to the Inskip defence site. Nathalie Lieven, for the company, says the contract has not been signed. Mr Middleton asks what happens if the MOD ended the agreement because of an opposition to fracking. Ms Lieven suggests opposition to fracking would not be a proper reason for terminating the access. If Cuadrilla could not challenge this, then the development would have to stop, she says. Ms Lieven says the only reasons for temporary loss of access would be for flooding or a national security emergency. The length of an emergency cannot be prescribed, she says. A very high level of alert could prevent any civilian access to a military base, she says, and it would probably not be for a very long time because this would create logistical problems for the MOD. The draft condition allows for use via the red and blue routes for all phases except the extended flow test phase and for flooding and an emergency. Mr MIddleton says the only option is to use the Green Route. The routes, as part of another condition, can be used in only one direction. Ms Lieven says lorries would pulsed in and out. She doubts whether there would be 25 in and out. She confirms they would not pass each other. Alan Evans, for Lancashire County Council, questions why the development would stop if the Inskip defence site was not available. Ms Lieven says the heads of terms agreement is not being submitted to the inquiry because it is confidential. If the council said putting the agreement in the public domain might be beneficial. Mr Middleton says he needs to satisfy himself that the agreement will allow the development to go ahead until it is finished. Mr Burton says Cuadrilla’s description of local roads is “completely ignorant of the facts”. He says he has lived in Roseacre for 18 years. The real experts of people who live in the area and have travelled on the roads for every day of their lives. They know the hazards, he says. We know there are no footpaths and in places there are no verges, he says. We know “the mandatory of 1.5m between a cyclists or pedestrian and passing juggernaut is an impossibility”. The proposals will accelerate the deterioration of local roads. The red and blue routes require lorries to go through the Inskip Defence site but this is subject to conditions. The existing passing places identified by Cuadrilla are “nothing of the sort”, he says. They are farm entrances or private driveways. Cuadrilla fails to mention that for much of the route there is no verge. The proposals owe more to “Alice in Wonderland than fracking in farmland”, he says. He suggests Cuadrilla could build a new A585-style road bypassing local villages but it would contravene local and national planning guidelines. If this appeal is allowed it is not if a fatality occurs but when. Responsibility will lie at Cuadrilla’s door, he says. Mrs Sylvester has been a resident and parish councillor in Roseacre. She says this area of the Fylde will become more important as a food growing after Brexit. She says Roseacre residents need a safe passage on the road. Elderly people need to shop and visit doctors, she says. Leaving her home, requires navigating two sharp bends, she says. The proposed passing place in this area will not make it easier for residents, whose sightlines will be affected. Local farmers are planning to increase livestock. This means more slurry tankers and trucks for grain and straw for bedding. Large agricultural vehicles sometimes tow two trailers, Mrs Sylvester says. This has an impact on the safety of Roseacre Road. There will be a great deal of trauma when harvesting vehicles use the local roads. This is where local knowledge is useful, she says. A large visiting agricultural vehicle chops up whole grain feed at a local farm. Cuadrilla’s HGVs could be the straw that breaks the camel’s back on Roseacre Road, where residents enjoy walking. 10 families in Roseacre have dogs that need exercising. The application has been developed in a parallel universe, she says. The lanes are unsuitable for further HGVs. She asks the inspector to reject the plans under commonsense. Ms Lieven confirms there was a gap in the plans identified by Mr James. She says a new plan will be produced for tomorrow. Alan Evans says the Highways Act could include crops. This issue was raised earlier in the session by the inspector (see the evidence by Richard Nulty). The hearing resumes at 3.45pm. Ms Bignold, a dog walker, describes herself as a vulnerable user. She suggests that the proposals will change the life of people in the area. She says she regularly walks from Clifton to the Hand and Dagger pub. There are sections with no footpath and only a narrow verge. The footpath swaps across the road several times. She stresses that experiencing HGVs is intimidating. She dismisses Cuadrilla’s suggestion that intimidation would be negligible. She says she has very little faith in the proposed traffic management plan and commitments by Cuadrilla because of driver behaviour at Preston New Road. Police have recently escorted drivers into Preston New Road after complaints about the speed of vehicles. She says that damage to verges will leave no refuge for vulnerable road users. People will no longer be able to use the lanes, she says, because of intimidation and dangerous feeling. All three routes are similar and are not suitable for the proposed level and type of traffic. She hopes that the proposal will be refused. Mr Hulme lives on the proposed Green Route. He urges the inspector to reject the proposals. He uses all three routes. The proposals would deny him any chance to avoid conflict with large HGVs, he says. Roseacre Road is a very narrow country road, he says. The prospect of 10 fold increase in HGVs is staggering and unacceptable, he says. One proposed passing place is at point of many near-misses, he says. The proposed 16 new passing places on the route is unacceptable he days. The addition of extra routes shows there is no single suitable access route. The survey by Vectos of pedestrians is unrepresentative of reality, he says. The cyclist survey was more representative but to limited to give robust results. There are dog walkers that use the road every day. Most take refuge on verges on the approach of any vehicle from whatever direction. There is already fear and intimidation that will not be assuaged by passing places. These may increase speeds by vehicles with drivers thinking they will not face oncoming traffic. The road is in a very poor condition. One section has been coned off as a temporary measure. Heavy vehicles will quickly destroy the road surface, adding to the hazard. If 50 HGVs were routed over an eight-hour period in winter pedestrians could encounter six more over a shopping trip. This development should not be imposed on the community, which will see no benefit, only disbenefit from disturbance and hazards. Mr Lewis has lived in the area for 35 years. He is speaking for the Inskip Baptist Church on the Red Route. He says the church work is not limited to Sunday. There are regular and special weekday activities during the day. The church sponsors an annual bible meeting. There are also visits to the graves of deceased relatives. Mr Lewis says the congregation is drawn from a wide parish. They come from Elswick, Inskip, Lancaster, Bolton and Blackpool to name a few. All the routes will be used by members of the congregation. Please add elderly drivers to the list of people who are vulnerable road users. He says the inquiry is testimony to a company that chooses to ignore the local community until it can’t avoid it. It didn’t add the additional routes last time because it knew they were unsuitable. Mr Lewis says the routes give flexibility to Cuadrilla and cut down the possibility of concerted protest. Will they employ the same adherence to agreed behaviours as at Preston New Road, he asks. Mr Lewis asks the inspector how he should prepare his parishioners for travel in “what was their community”. Do I tell them before they get in their cars they need to second-guess what phase of work we are in, he says. The only real uncertainty will be greatly increased risk of accidents, he says. He says the proposals are haphazard and risky. He urges the inspector to reject them. Mr Leighton says he is appalled by the proposals for Roseacre Wood. He says he cycles and walks as much as he can because of concerns about carbon emissions. The three routes would successfully blight the lives of people living in four villages, including Elswick, recently awarded best kept village and Clifton cannot easily accommodate more HGV traffic. Independent survey conducted for Cuadrilla was superficial, he says. I doubt whether any of the surveyors drove a large HGV around the routes. I live almost opposite St Peter’s primary school in Inskip. There are hazards almost all the time. The parking is not just at arrival and departure time – cars are parked almost all day, every day, he says. Mr Leighton says the proposed Red Route has sections which are particularly unsuitable for large vehicles. I drive and cycle this route, he says. Travelling west from Inskip there are many hazards, including access to farms and commercial premises and right-angle bends. He cyclists to Elswick regularly and it is unusual not to see cyclists and walkers. He saw 12 cyclists last night; this morning he saw four cyclists and four walkers. It is a fallacy that cyclists and walking is limited to weekends. It is quite wrong and undermines the evidence the Cuadrilla consultant has given. Arriving at solutions that clients favour is not a rare occurrence among consultants, Mr Leighton says. Cuadrilla wanted some transport routes to be found. Therefore the consultants will be wise to find the good points and not to find the bad points. On Elswick high street, Mr Leighton says it is narrow and often has parked cars. There are two right-angle bends. The more road proposed for use by HGVs, the more unsuitable sections of road will be encountered and the more residents subjected to hazard. Cuadrilla has not submitted a suitable scheme. Mr James has lived in Inskip for 40 years and has been chair of the parish council for 27 years. He says he now lives near St Peter’s primary school. Exiting his home has limited visibility because of the bend and neighbouring properties. This section of road is described by Cuadrilla as having “good visibility”, he says, but it is missing from the company’s plans. This part of the route is regarded as particularly hazardous by people who use it. There is limited visibility for people leaving driveways, he says. He presents photographs to the inquiry. Mr James says the error in Cuadrilla’s evidence cannot easily be dismissed. He wonders what other errors there are in Cuadrilla’s proposals. Ms Silverwood, a town and borough councillor, says it is important to talk about the road safety on the A583 and A585. It is important that residents should be listened to about what has happened for the past 15 months. Ms Silverwood says there was queuing stationary traffic this morning on the A583. There were dog walkers, people using Ribby Hall and school children trying to cross. The Roseacre Wood traffic will have to go through or past Kirkham. Preston New Road convoy traffic are coming through the town centre causing absolutely chaos, she says. The convoys vary from 5-11 lorries. The lorries travel in convoy along the A585. Mr Nulty was questioned whether the convoys gather on the hard shoulder or roundabouts. Ms Silverwood says this happens. We are not dipping in and out of this. We live here, she says. Ms Silverwood was entangled in a convoy. It is very frightening, she says. Police wave the convoys into the site. This is what we have experienced in the past 15 months. The Cuadrilla evidence appears to be very text book, she says. She says she was pleased to hear that the council witness had looked at problems from a driver’s point of view. The inspector, Melvyn Middleton, asks her to wind up. Ms Silverwood says the 40 new and 10 existing passing places, hedges and verges removed, this proves that the routes are unsuitable for this industry. Mrs Cox is representing Kirkham Town Council. She says the council objects to all the proposed routes on grounds of highway safety and the unsuitability of the roads. Driver attitudes, company expectations and a reliance on the police to facility the deliveries cannot be separated from the issues, she says. Mrs Cox says the town council works hard to improve the safety of residents. Any increase in traffic is of concern to the council. The extra HGVs will affect our residents, she says. We believe it is important to consider that Kirkham, as the biggest town in Fylde, has people walking, driving or busing into the town every day, she says. The routes to Cuadrilla’s site cannot be considered in isolation. They will have an impact on Kirkham and roads around it, she says. We feel in omitting incidental routes safety issues that have not been considered, she says. The Blue Route is the nearest route to the town. She suggests that conflict with Preston New Road traffic is inevitable because those HGVs traveling to that shale gas site go in both directions. Additional works traffic will contribute to deteriorating air quality and road surfaces, Mrs Cox says. Accidents involving large trucks are more likely to be serious. The town council is concerned about any addition in HGVs. Local people are used to local road and weather conditions but drivers from outside the area will not be experienced with them. The town council is concerned that drivers will not follow the designated routes, she says. There is no hours limit on the Blue Route so traffic is expected to go past the school in Clifton. HGVs already use our roads but it is not accurate to say that shale gas traffic is the same as with other developments. Convoys can be up to 23 vehicles. Most convoys are 5-9 vehicles and they are escorted by police vans. Drivers go closer together in convoys than normal. Convoys intimidate pedestrians. Passing places would not work for convoys. Cuadrilla cannot make deliveries without police assistant. Peaceful protest cannot be predicted. A police presence is likely. This will require welfare units and vans. This adds to parking problems in Kirkham, where they are co-ordinated, Mrs Cox says. A lot of reliance is put on the traffic management plan, she says. The Preston New Road plan has been changed so many times that mitigation originally put in has been whittled down, Mrs Cox says. To assume the Environment Agency will automatically grant a surface water treatment permit is at worst an abuse of process, Mrs Cox says. Cuadrilla relies on a small number of contractors. They do not always know the roads or the circumstances to which they are delivering. Local contractors may not use the preferred routes. Mrs Cox predicts the limit on the number of deliveries each day. Mrs Cox talks of poor driver behaviour at Preston New Road. She says a driver ran over another contractor, while others have used their cabs to nudge people out of the way. Drivers accelerate coming off the site or drive in at speeds to high to take evasive action. There was failure to install a wheelwash at Preston New Road, initially required in the permission, leading to highway safety issues for motorcyclists. We believe the Blue Route remains unsafe and the Red and Green routes add nothing to highway safety, she says. Changes to the nature of the road, adding passing places and traffic signals demonstrates that the routes are unsafe. Ms Lieven says Cuadrilla disagrees with statements on Preston New Road. Mrs Cox says she has spent a lot of time at Preston New Road and the issues she has reported are what she has seen. The inspector Melvyn Middleton says all he is doing is looking at what Cuadrilla plans to do improve highway safety at Roseacre Wood. He asks about the use of the A-road network. Ms Lieven says there have never been concerns from Lancashire County Council about the use of A-roads. There is no requirement for control of Cuadrilla vehicles when they reach the A-road network. Mrs Nulty is representing Medlar with Wesham Town Council. She says the town council believes that none of the proposed routes are suitable and the difficulties unsurmountable. It is specifically concerned that any increase in road traffic would cause further loss of amenity to residents. She says most of the population is young, active, working and commute by cars. Access to the motorway, Kirkham and Blackpool must be by the A585, part of the Cuadrilla route. Mrs Nulty says Wesham has expanded since the 1990s. She says the development of the AFC Fylde stadium and Mill Farm Sports Village has increased traffic in the area. A school at the junction of the A585 and A583 draw traffic from across the region. Extra HGVs to Cuadrilla’s Roseacre Wood site would exacerbate the problems. The A585 is overloaded, she says. At peak times, traffic queues from the A55 along the A585 to the A583 from 7.30am-9am. There are lengthy tailbacks to the M55 in the afternoon and early evening. There are regular delays and hold-ups through Wesham, Mrs Nulty says. The two pelican crossings on the Kirkham and Wesham bypass. The more traffic on these roads,the more danger to vulnerable users. There is also likely to be an increase in accidents. Shunt accidents are common on the road, she says. The town council is also concerned about air pollution and it should be considered as highway safety. The inspector, Melvyn Middleton, says this is not “particularly relevant” to the inquiry. Mrs Nulty says the Blue Route is a long route to the M55. She suggests HGVs might be tempted to use shorter, more direct routes. Medlar with Wesham Town Council says the inquiry should consider the entire route from the M55 roundabout to the Roseacre Wood site, Mrs Nulty says. The overloading on the A585 is degrading the quality of local amenity and local air. She requests this is considered by the inquiry. Mr Nulty is speaking on behalf of Greenhalgh with Thistleton Parish Council. Mr Nulty says he has lived in Greenhalgh for 50 years and has been a parish councillor for 30 years. He rebuts Cuadrilla’s suggestion that his parish is not on a proposed traffic route. He says the village is dependent on free passage on the A585. Public transport is expensive and infrequent and people rely on cars. He tells the inquiry that Thistleton is a conservation area. The proposed Green and Red routes would go through the hamlet. School children congregate at the bus shelter on the routes. Horse riders and cyclists also use the route. There is a lack of footway in the conservation area. The main concern in Thistleton is that the southern route, although not the Red or Green route, will be used by drivers because it is quicker and shorter. Mr Nulty says little can be done to stop this because it is hard to pin down a vehicle to a contractor and a project and the local authority is too slow to take action. Heavy traffic flows on the A585 affect the parish and further increases will make matters worse, he says. The proposed use of the northern junction towards Elswick will exacerbate problems. The Highways Authority has expressed concerns about the junction. The road is under pressure. Junction 3 of the M55 has the worst air quality in the whole of Fylde distict, Mr Nulty says. Nitrous oxide levels and particulates are in the top 20% nationally. More HGV traffic here, in addition to the Preston New Road shale gas site, will material disadvantage our residents and could damage our health, he says. Any of the routes will have adverse effects on our community, Mr Nulty says. All the homes on the A585 will find that their lot is further degraded, he adds. The addition of big HGV movements will affect air quality. As a parish councillor, Mr Nulty says, “We spend a lot time dealing with potholes”. He says the council also deals with hedges and sightline. But he says he has never heard of the law being used to require landowners to keep sightlines over third party land. A landowner could chose what to plant on his land. Cuadrilla seems to imply that across-field sightlines will be maintained. I can’t see how that could work or be achieved, he says. On hedge heights, this is also down to the landowner, Mr Nulty says. Hedges can grow 0.5m every year. They can be cut only at certain times because of nesting birds. Sightlines are maintained along highways, rather than across third party land. Mr Nulty says he has a mirror on his property and it is useful. But he says it gives a distorted mirror and it is used when the vehicle is stationary. In the circumstances when it is proposed by Cuadrilla in Inskip he says means a very dangerous position to be in. Drivers would need to look into the mirror, in the opposite direction to the traffic. Mirrors need to be cleaned, Mr Nulty says. Mr Nulty says the council has learned from Preston New Road. Protest has caused disruption to Cuadrilla, he says. It is a difficult balance to police, he adds. There are between 10 and 50 officers at the site and more than four police stations. We have seen road and lane closures, we have seen denial of access for neighbours, night convoys, high-speed escorts of vehicles, marshalling of convoys on the hard shoulder and the M55 roundabout. Those are very scary things that happen. We as locals are disappointed that this is not what we thought was agreed in the traffic management plan, Mr Nulty says. The police are not doing their normal policing duties. All this is happening on the ideal position for an exploration site. The traffic implications for Roseacre Wood will be much more challenging. There will be greater protest options. POlice numbers will go the fastest route, regardless of the proposed routes. We will get significant extra police traffic. We ask you to take account of this. Protesters will also come in vehicles. We believe there will be significant extra traffic, convoys, road closure and at times mayhem. These have not been raised by Cuadrilla but you should take this into account. Nathalie Lieven, for Cuadrlila, says this description is not expected at Roseacre Wood. She says ANPR cameras would monitor the route of Cuadrilla vehicles. The inspector, Melvyn Middleton, asks for a plan of the Thistleton conservation act. He also asks for information about the council’s right to require sightlines across third party land, including dealing with crop heights. Alan Evans, for Lancashire County Council, says crops in fields would not be covered by the highway legislation. He says it deals with hedges, trees and shrubs that interrupt visibility, even if they are not over-hanging. Mr Nulty says corners of fields are planted with trees as part of set aside schemes. He questions whether owners would be denied this to secure visibility across the land. Mr Middleton asks about Cuadrilla’s tracking system. Ms Lieven says the ANPR camera locations has not been determined. She proposes putting a camera on the B5269 junction with the A-road to ensure vehicles did not go through Thistleton. It would be easy to pick up if a vehicle had breached the route. The inspector proposes a weight restriction. Ms Lieven says it may be difficult to trace the vehicles breaching the restriction. She says we will pick up vehicles that are not using the correct routes. Mr Nulty asks whether Cuadrilla will monitor the ANPR cameras. Ms Lieven says under the traffic management plan Cuadrilla will be required to monitor the cameras, report any breaches and take action. Alan Evans, for Lancashire County Council, questions whether the ANPR cameras would be a lawful use of data collection. Mr Middleton suggests queues at the junction will get bigger. He also suggests restrictions on use of the junction. Mr Evans says this would require a formal traffic regulation process. The inspector, Melvyn Middleton, opens Day 7 on the inquiry. He reminds the hearing that he is considering only Cuadrilla’s proposals to overcome highway safety issues raised at the 2016 inquiry. Mr Middleton says he is not looking at impacts on the landscape, noise or economic activity. There is no purpose for people to tell him about it because there is nowhere for him to take it, he says. He says 400 people have submitted written representations. ‘Mr Middleton says he is not looking at impacts on the landscape, noise or economic activity’ – excuse me but blocked roads have an impact on economic activity; ripped up hedges and the effect on their occupants, landscape; high volumes of huge lorries, definitely will shatter the peace and quiet of the villages. It is curious isn’t it Sherwulfe? Because the only reasons and results of Cuadriila being there at all, and causing all this commotion and extra traffic, are as a result of impacts on the landscape, noise and economic activity? Is that not…..what is that word now? Begins with Hy…? Po? And ends with Crisy? Or something like that? But that could not possibly be the case with a traffic inquiry?…….Could it? The inspector, Melvyn Middleton, asks for a footpath map’. Can someone advise Mr Middleton that horses are NOT permitted on footpaths. Horses may only use bridleways and public roads. Has anyone bothered to ask what happens if a lorry breaks down on one of the narrow roads? The Inspector says he is considering only Cuadrilla’s proposals to overcome highway safety issues raised at the 2016 Inquiry. The fact is that two of the routes were not on the table at the 2016 Inquiry because Cuadrilla’s then experts had ruled them out. Cuadrilla’s present expert has said he disagreed with their previous experts, which rather begs the question just how expert are any of these experts? Since two of the routes were never examined at the 2016 Inquiry it seems only right that they should be given full consideration now, but Mr Middleton is limiting evidence allowed to not much more than lay-bys and hedge heights. The effects of Cuadrilla’s traffic on the safety of pedestrians, cyclists, schoolchildren, horse riders, other road users, business owners. Also residents and their right to peaceful,enjoyment of their property and their right to breathe safe, unpolluted air on these two routes was never discussed at the 2016 Inquiry and Mr Middleton is refusing to discuss it now. Protestor action and the police’s tactics and evidence from PNR are also to be ignored according to Mr Middleton, but these are a fact of life and they will occur and will have an effect on highway safety. Sajid Javid said he was not using the previous Inspector, Mrs Wendy McKay again because “She had made up her mind.” It looks like this Inspector has already had his mind made up for him. Someone give me a nudge when all the drivel is said and done. Ta. no word from Dec as yet? You haven’t lost yet Pauline! Getting the moans in early-just in case. I think you will find such enquiries have a very specific brief, to examine very specific items, not to re-run the whole fracking debate. Mr. Middleton made that pretty clear at the outset. I made no mention of re- running the whole fracking debate. I simply pointed out that decisions are being taken on highway safety on two routes which were never considered at the previous Inquiry because even Cuadrilla’s own experts at the time considered they were unacceptable so they weren’t put forward. Mr Middleton is refusing to listen to evidence other than on structural highway matters. Local and vulnerable road users were considered to be relevant regarding highway matters at the last Inquiry when only one route was in question but it now seems that the actual human beings on these two new routes, whose lives will be seriously impacted upon for a generation or two, are deemed to be unimportant to Mr Middleton and Cuadrilla. As regards losing. It was Cuadrilla that lost last time when we had an Inspector who had the integrity to stand up for what was right. We have yet to see what the outcome of this Inquiry will be. Maybe if Mr Middleton also rejects Cuadrilla’s plans, Sajid Javid will be asking for another go. Enquiries might do Martin but an Inquiry is something else completely. Paula’s very simple point is that whilst the blue route may have been examined in relation to these other factors at the previous inquiry, the Green and Red routes are completely new. Just because the Blue route doesn’t merit further examination on matters other than highway issues why should these new routed be exempted from a thorough examination. Not an unreasonable assertion particularly as when the SoS set the parameters for this particular inquiry the blue route was the preferred and only option on the table. If I were representing Cuadrilla I would be asking how the farmers move their Huge tractors & massive combines around we seem to have double standards as to what is & is not acceptable . Missing the point gasman. The tractors and combines are part of the established agricultural business of the area; shale development is unwanted and not needed here. Visibility like the bend around corner in the photo can be fixed by place a temporary convex mirror at the corner like many in shopping center carpark. Convex mirrors are legally classed as an obstruction and if used at all, must get special dispensation from the Dtp. Lancashire county council all ready have a policy on the use of convex mirrors. The problem with mirrors of any kind, particularly convex mirrors, is that they give a distorted view and where lighting is used at night a convex mirror can distort or cause a mistaken impression of the location of an oncoming vehicle and cause an accident. That is why you don’t see them on highways and only in driveways, for which you need permission. So no, convex mirrors are classed as a hazard, not a quick visibility fix. In addition to the above, the convex mirror proposed at Roseacre Wood on the Red route through Inskip has been highlighted by LCC as being ineffectual as the stopping point on the obscured 90 deg bend that would be required to avoid conflicts at the corner would be so far back as to make the image in the mirror difficult to see. Pointless and dangerous to boot so not a workable method of mitigation. Leicestershire councils policy on the use of convex mirror on highways. Essentially the same opinion that such mirrors represent an obstruction and can confuse and cause accidents, and hence are only used in very special circumstances relating to a single access onto a highway, and not for use on an interhighway situation. While mirrors used to need approval by the Department for Transport, this is no longer the case, and the only stipulation from government is that the mirror frame must be of a single colour. So it is now down to Local Authorities to decide on their use – the short discussion above shows that several local authorities would tend to refuse them. Thanks Paul, its always good to get better information on these sticking points. Another consideration is the position and orientation of such mirrors and the height above ground? There is the danger of a protruding mirror becoming another hazard or obstruction, the possibility, because it must be at numerous and variable driver sight height, it can be moved or vandalised, and it has to be in the right location. All these factors and the ones you mention make such mirrors a potential obstruction, hazard or being unseen or ignored by both regular and non local road users. That’s correct crembrule – the picture at the top is of another bend, in Roseacre. Sherwulfe-you forgot to add “by the minority”. Makes a bit of difference. Just like another NIMBY minority in Lancashire has been moaning about farmers in the county having the gall to keep noisy, smelly animals on their farms! So, no fracking and no farms in Lancashire, due to a minority opinion. But, I suppose, when you want to eliminate the utilisation of resources available in a particular area, why not go the whole hog? Care to point to evidence of the NIMBYs complaining about farmers in Lancashire. Certainly not seen anything in any of the communities under Caudrillas beady eyes. There is a slurry type smell on here though but mostly emanating from your posts. The purpose of the mirror is to give the driver sawareness on the coming traffic in the opposite direct around the corner. It is never supposed to be used or designed as a guide or instructions for driving. If you can see what around the corner you will take even more caution around the bend such as slowing down even more to allow the other driver to pass the bend. crembrule-it was all over the media this week! Strange how some antis seem unable to keep informed but then many will claim greater knowledge, and some, even intelligence. I’m sure a quick Giggle would find it. Yeah I thought as much definite smell of bs on here, absolutely naff all about people complaining about farms on the Fylde. Some slightly iffy sounding story based in Chorley regarding a planning application for stabling for Shire horses and a historic complaint about cockrels. Here is a quote made by Chorley Council taken from the Daily Hail “There was only one complaint made and none have been made since”. Sounds to me more like a neighbour dispute than any real issue with farming. Now as far as I understand it Martin you have been everywhere however if you had any idea about the area you would know Chorley is quite a distance away from the Fylde. Or put a temporary speed limit at and close to the bend. There are none so blind, as those who will not see? And there are no such blind bends that cannot be made even more dangerous with a little convex mirror to scare the horses and distort the view of oncoming HGV’s? A little reflection required perhaps? But hopefully not of the distorted variety? Perhaps the words Con and Vex are more appropriately treated as separate words?